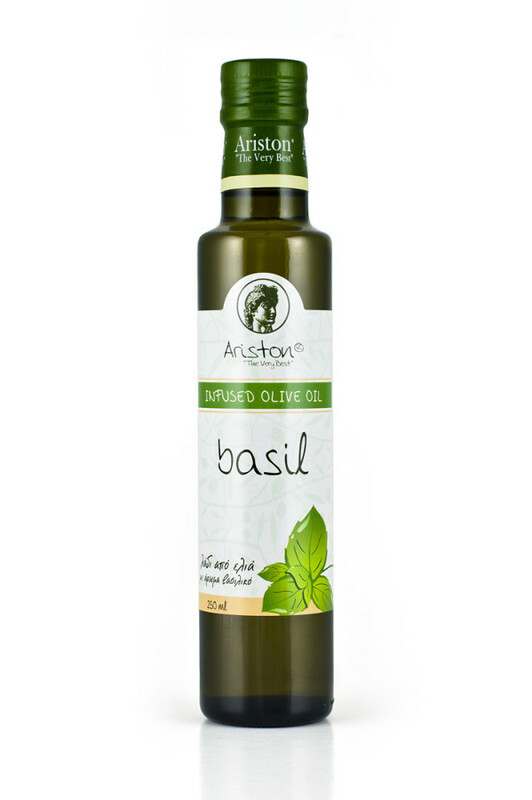 Ariston Basil Infused Olive oil 8.45 fl oz | Ariston Specialties | Greek for the "Very Best"
When Italians prefer oil over their own pesto, usually they have a good reason to do so! It’s called Basil infused oil and it’s the outcome of a rich blend; cold press olive oil from the varieties of Frantoio, Leccino Pendolino, and Moraiolo hosting the King of herbs… Basil! Who could ask for anything more?! Olive variety: Frantoio, Leccino Pendolino, and Moraiolo olives. Food Pairings/ Use: This olive oil is incredible not only as a dipping oil with your favorite fresh baked artisan bread, but also in pasta and pizza sauce, pestos. Pairs well with mozzarella cheese & tomato salads. I love this Olive Oil with Basil Flavor. I put it in my salads with the Balsamic Vinegar!! It’s amazing!! My Fiancee love this kind of Olive Oil with Basil Flavor in her salad for lunch and dinner meals daily. She keeps saying that she is in heaven when she’s eating the salad with the Olive Oil with Basil flavor. Good job, Artiston! Great stuff. I eat it daily at breakfast on my sourdough toast. I am a basil craver and this is the best infused olive oil I’ve had. The flavor is great! It’s my go-to for my salads combined with a vinegar from Ariston. Very good great taste of basil but not over powering. I will order again! We have it with sour dough bread! The best, I eat it daily and occasionally give it as a gift. This basil olive oil is great on sliced tomatoes, avocados, and any salad or pasta dish. We love it!